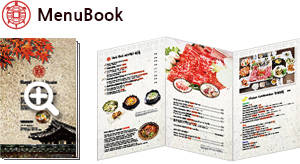 Korean cuisine is largely based upon rice, vegetables, and meats. 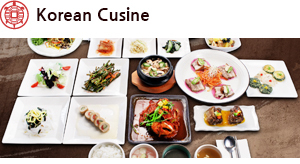 Traditional Korean meals are noted for the number of side dishes (banchan) that accompany steam-cooked short-grain rice. 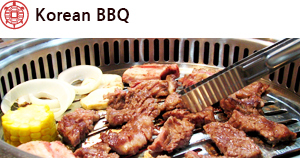 Gogigui literally "meat + roasting", or Korean barbecue refers to the Korean method of roasting beef, pork, chicken, or other types of meat. 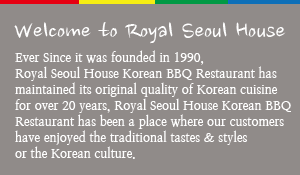 Copyright (c) 2014 Royal Seoul House. All right reserved.